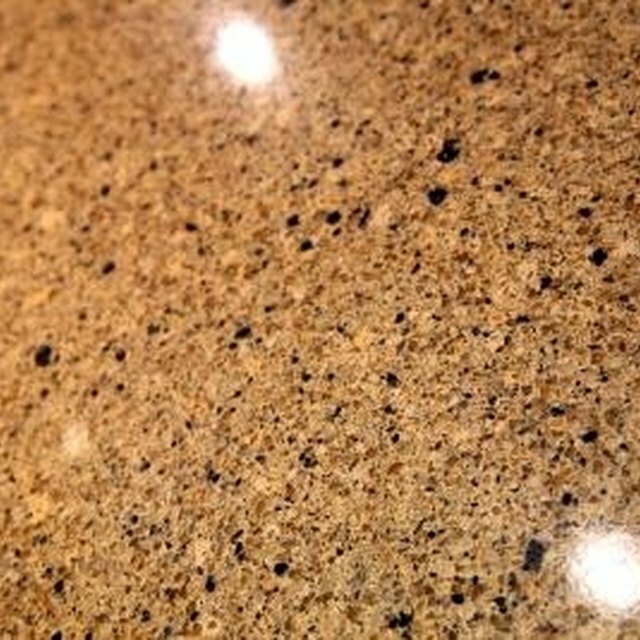 What Are the Colors for Granite Counters? How Rare Is Lilac Jade? Green is the color most associated with jade, but one look at a selection of jewelry or beads shows jade is available in many different colors, shades and levels of transparency. Jade really does occur in colors as varied as yellow and purple, though, and shades such as lilac are among the rarer colors. This can lead to scams as people try to pass off an artificially colored stone, or even a completely different stone, as a valuable form of jade that will make them a lot of your money. Jade stones used in jewelry and carvings actually come from two different minerals. One is nephrite, which is rather common, and the other is jadeite or jadeitite, a rare form known for being harder to scratch and damage than nephrite. The Smithsonian Institution National Museum of Natural History lists nearly twice the number of nephrite "localities" than jadeite worldwide. Jadeite colors come from minerals that become embedded in the jade as the stone forms. Pure jadeite is actually clear and can be valuable, but as the stone's color is often a selling point, colored jadeite isn't exactly ignored. Purple shades of jadeite, including lilac, come from manganese within the stone. Unfortunately, information put forth by jade companies doesn't always follow a consistent coloring scheme when describing various shades of purple. One might mention lilac jade and another lavender jade, while a third might mention both colors as separate varieties. What is fairly consistent is that the purple shades occur only in the rarer jadeite, not the more common nephrite, and the purple shades are among the rarer colors. Various shades of green, cream, white and gray are more commonly seen in jadeite. So if you find a piece of jade that is verifiably undyed lilac jadeite and not a piece of dyed nephrite or glass, chances are you have a rarer form of jade. Note, though, that most places consider a particular shade of green Burmese jadeite, called Imperial jade, to be at the top of the list of valuable types of jade, so take claims that lilac jade is the most valuable with a grain of salt. If you aren't familiar with the various shades and grades of jade, you might not be able to tell the difference between real lilac jade and fake jade or even amethyst. Because jade items can command such high prices, selling fake jade has become a rather common con in areas like Hong Kong. Buy jade from only reputable places, and if you are in a tourist area, avoid random sellers making claims about the jade. See if there's an independent agency that can test the jade; for example, the Hong Kong Tourism Board notes those shopping at the Yau Ma Tei Jade Market can get the jade tested before completing the purchase.